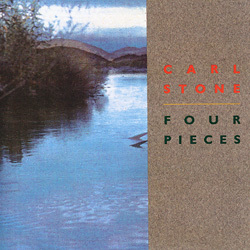 On the 10th of February, Carl Stone has celebrated his 60th birthday. On this occasion the following tracks have been played. Stone’s first mini-album is a collection of four pieces of digitally manipulated source material, stretched, hacked to pieces, or rearranged endlessly, more often than not resulting in something warm and beautiful, not harsh and distanced. All the music in this recording was made using Macintosh personal computer, Proper 2002 sampler and Yamaha TX 816 synthesizer. While these are studio recordings, thay are made without any editing or overdubbing and therefore accurately reflect my live performances during the period 1987-1989. Wall Me Do – was composed in the early months of 1987. The germinal idea for the piece occured to me while I was experimenting with one the demo files supplied with the computer program „M” designed by Intelligent Music Inc. Hop Ken – the piece looks at a familiar orchestral composition in an ironic way, by subjecting if the various transmformational processes. 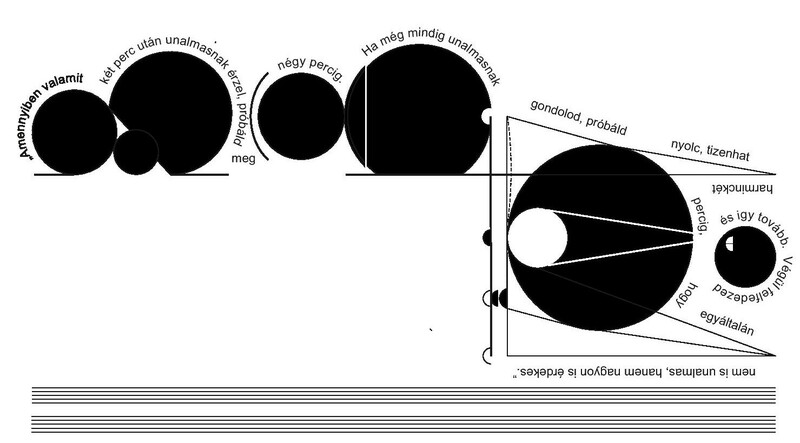 The intention is the reshape the musical energy of Moussorgsky’s „Picture at an Exhibition” in performance, so that at various moments this time-worn piece has the rhythmic character and velocity of diverse musical stules outside of its own, including Celtic folk, jazz and rock ’n’ roll. Shing Kee – was composed in October 1986 and therefore is the earliest and is the most devastating piece in this collection. A small loop of a Beethoven song — piano and vocalist — added and subtracted to for 15 minutes. Stone adds granular synthesis, echo, and other effects to it until the piece takes on a deep pallor of anguish, longing, and attractive sadness. It’s the musical equivalent of a universe in a grain of sand. Sonali – was composed February & March of 1988 and was premiered at Dance Theatre Workshop in New York in New York City in April 1988. Unlike much of my other music, where the starting point is recognitable musical themes, ofter familiar to go a general musical public (for example orchestral warhorses, 60’s rock ’n’ roll etc. ), Sanali cannibalizes my own (rather more obscure) musical oeuvre, namely my piece „Wall Me Do”. The original performance version actually involved two Macintosh computers onstage, but subseqequent technical reversions have made it possible to reform the piece with one. Akira Kasai is a dancer and choreographer who int he 1960’s often performed with the acknowledged founders of butoh, Tatsumi Hijikita and Kazuo Ohno. In 1970’s he founded Tenshi-Kan and worked actively with it for a decade. Int he 1980’s, Mr. Kasai stopped dancing, closed Tenshi-Kan and moved to Germany to study „Eurythmy”, a form of dance founded by German mystic philosopher Rudolf Steiner. In 1944, Kasai, invigorated by this studies, re-emerged and resumed his active career. Thematically, Exusiai is a dance about the special kind of life-force that exist in the inorganic matter of the mineral. An example of this life force would be a crystal, which in a way grows inside of rock-crystal or tourmaline. As a mineral life-force, it contrast in opposition to the biological life-force such as in plants. An object that is „dead” organically can in fact be alive from the viewpoint of Exusiai. To begin my work on Exusiai, Kasai and Stone met in San Francisco in January of 1988. Kasai explained generally his idea about the work he had yet to creat, and explainedsome og images he had in mind. From this conversation developed a very general sound model, that Stone felt would be appropriate for the work. In July he received a fax from Mr. Kasai, outlining the overall formal structure of the entire work and his descriptive prose for each section, wich provided him with a basis for making the music. He took this fax and used it as his guidebook and map in creating the music, which he made in a 6 week period. 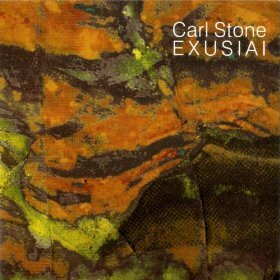 Exusiai is a dance suite written by Carl Stone, well known for his early work in samplers, best heard on his masterwork, Mom’s. As is typical in Stone’s work, the samples he uses as basic material are manipulated until they are all but unrecognizable, ground up, hyper-extended, or sliced into slivers. This results in a wide variety of electronic washes and burblings with the occasional familiar sound, a trumpet here, a bell tone there. Possibly because of its ultimate use as accompaniment for a dancer, however, there is little focus and development of ideas here and more simply “sound painting” as though, given the time guidelines necessary for the performance, Stone was merely filling the space with various attractive textures. This entry was posted in no wave show on 2013-05-13 by en.